Our Junior Preschool educators focus on building caring, reciprocal relationships with each child and work in collaboration with families to provide a play based curriculum which reflects each child, their culture, interests and needs. 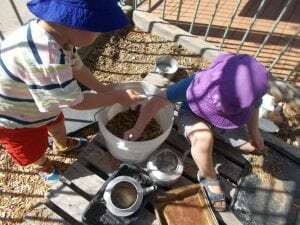 Our curriculum is based on our knowledge of each child in our care, our Yarrunga Philosophy, the Early Years Learning Framework and Theoretical perspectives of early childhood learning and development and follows five broad themes. Educators in the Junior Preschool room ensure the development of meaningful relationships between children, families, educators and the wider community. While all educators are involved in planning for children’s learning, we believe it is important for each child to have a primary educator to form initial bonds, as well as to provide a contact for communication with families. 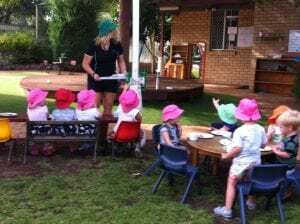 Through modelling, scaffolding and encouragement, educators support children to develop relationships and interact socially with others, assisting them to make friends and feel safe and valued within their Yarrunga environment. Through collaboration with families and our shared leadership approach, educators are able to draw on the strengths of each individual team member to ensure the greatest possible outcomes for children’s learning. Our educators in the Junior Preschool room this year are Emma, Terri and Natt all of who offer years of experience in Early Childhood Education and Care. Terri is our Early Childhood Teacher, Emma holds her Diploma in Early Childhood Education and Care and Natt is currently studying her Diploma in Early Childhood Education and Care. Our curriculum is driven by the voices of children, who are actively involved in making decisions about matters that affect them, including which resources and equipment are provided. 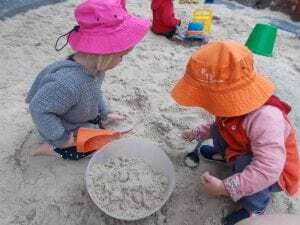 We recognise and value the emerging autonomy of the junior preschool age group. Educators encourage and support children to develop their independence and the confidence to try new things and to cope with disappointments or the unexpected. This is done by respecting their capacity to make choices and providing opportunities to do things for themselves. Our junior pre-schoolers demonstrate their independence as they serve themselves morning tea and fruit, learn to use the toilet and wash their own hands, dress and undress themselves. 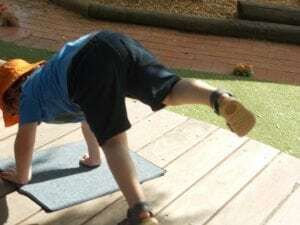 Yarrunga’s location provides many opportunities for connecting with our local community. We regularly go for walks along the bike path, to our community garden bed, the train station or many of the walking bridges which are right on our doorstep. Additionally, we plan excursions in the heart of Albury, such as visiting the library museum or art gallery and have a number of local, and broader community members join us for incursions, for example; weekly Wiradjuri culture and language sessions, visits from local vets or traveling musicians/ entertainers. We support children to become global citizens by fostering an awareness of ways in which to live and act in the best interests of our world. Educators and children demonstrate respect for each other, our community and our world. Sustainable practices are embedded within our curriculum and we participate in weekly ‘Stephanie Alexander Kitchen Garden’ sessions with our Sustainability officers.